What's the best gift for the holidays? The kind that lets you keep on creating! 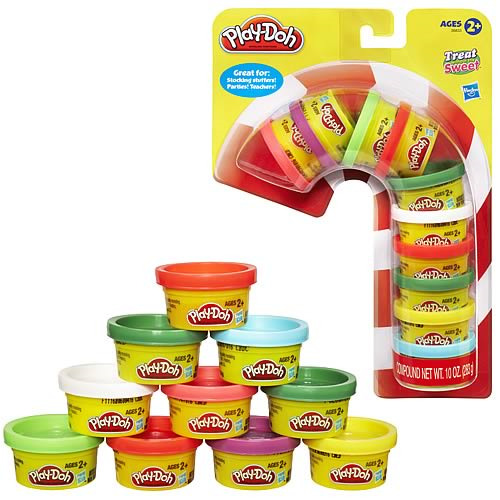 This TREAT WITHOUT THE SWEET Holiday Pack includes 10 bright colors of PLAY-DOH modeling compound for little hands to make amazing creations for Christmas. It's the perfect choice whether you're having a party, giving gifts to students or just stuffing stockings at home. Give the gift of color and fun with the TREAT WITHOUT THE SWEET Holiday Pack! Pack includes 10 one-ounce cans of PLAY-DOH modeling compound. Ages 2 and up.